Prices vary depending on size, use and specification. We are confident we won’t be beaten on a like for like basis and we also have the advantage of being able to offer fully refurbished units with an approximate saving of 20% on new builds! Yes - Planning Permission is required for all permanent Modular buildings but we recommend that you speak to your local Planning Authority for guidance, we can assist with your Planning Application. 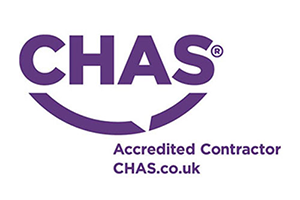 Yes – our buildings are manufactured to comply with English, Scottish and Welsh Building Regulations, including Part L2a and Part M, we also provided fully HBN/HTM healthcare buildings. Do you manufacture your own units? Yes – all our buildings are manufacture here in our factory in East Yorkshire and we welcome clients to come and see the buildings during manufacture. Make sure you are dealing direct with the manufacturer and not paying for the ‘middle man’. Yes – we have our own in-house design team who will assist with any design questions you may have and will produce CAD drawings to your requirements. Yes – we are your one-stop shop for Modular and Portable Buildings. We will take care of everything for you including the foundations, services, steps & ramps etc.